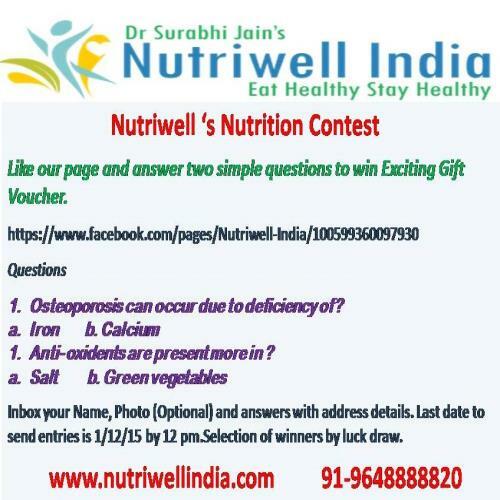 Nutriwell Brings an exciting contest for you. Like our page and answer two simple questions to win Exciting Gift Voucher. Osteoporosis can occur due to deficiency of? Anti- oxidents are present more in ? Inbox your Name, Photo (Optional) and answers with address details. Last date to send entries is 1/12/15 by 12 pm.Selection of winners by luck draw.